We have recently started shopping for the best books for three year old’s. My oldest turned three not too long ago, and she is ALL about reading. I will admit I have felt a LOT of pressure with the books we decide to purchase her. My mother is a kindergarten teacher, so I understand the importance of reading to her at this age. 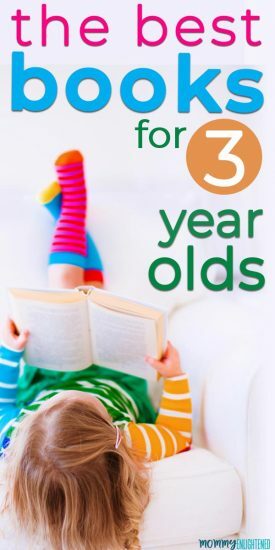 Although your little one will not be reading or writing for a while, they are in the process of learning those pre-reading and writing skills, so you should make your three year old book choices carefully. When doing some research I came up pretty dry because MOST recommendations I found on Google did not match what ACTUAL three-year-olds want to read. After a little research, talking with my mom, and some “testing” of my own, I have created a list of the best books for three year olds. There are affiliate links in this article. See our disclosure for more information. Rhyming books are really important at age three. The kindergarten teacher in my life tells me that recognizing rhyming words is a kindergarten readiness skill that you definitely want your littles to learn. Llama Llama Mad at Mama (found here) actually fits under EVERY category – which is why I wanted to talk about it first. We LOVE the Llama Llama books in my house. The scene is set when Llama Llama has to go to the store with his mom. Like most toddlers, he grows tired of being at the store fairly quickly, and throws a fit. It’s cleverly written and a lot of fun for both mom and toddler to read. I truly think this in the top five of the best books for three year olds. Little Blue Truck (here on Amazon) is another of the best books for three year olds, and I will tell you why. This book is very well-written and it’s a lot of fun for both you and your child. This story shows us that when you aren’t nice to people, they aren’t super jazzed about helping you out when you need it. On the other hand, if you help that person (whose actually a truck in the book), you can do a good thing and that “mean” person will be thankful. In the end, most people (or trucks) are not inherently bad. They just make bad decisions sometimes. Bear Snores On (see it here) tells a charming (rhyming) story of a bear who is sleeping while all of his woodland friends are having a party. I know it doesn’t sound that good – but I promise it is! The first time I read this book it was a mini version in a kid’s meal toy at a local fast food restaurant. I thought it was SO cool they were giving books out instead of the random junk that normally accompanies kid’s meals, but I didn’t expect it to be any good. It was SO good. Not only did I buy the book, but there are a ton in the series so I purchased them too. Personally, I am not a huge fan of The Cat and the Hat (as well as related books like this bundle). These stories are probably some of the BEST for introducing rhyming words to your little one, so it’s worth having a couple of them around. You have a ton of different options regarding these books, so try and pick one you can stand to hear more than once. We learn about a giraffe who really wants to dance – but he just isn’t good at it. He gets made fun of by all of the other jungle animals, which makes him sad. Don’t worry – it has a happy ending. It is a rhyming book, but it teaches your toddler some important life lessons as well. I was pretty skeptical that I would enjoy The Wonky Donkey (see here) before I had read it. Explaining the story line is a little difficult, but basically it’s a clever mash of lines that rhyme together that describe the donkey. You can actually listen to the song (for free!) here. It’s definitely a rhyming book, but it is supposed to be read fast – which makes understanding the rhyming bit difficult for younger kids. These learning books for three year olds can help your little one polish their understanding of different things. Brown Bear Brown Bear What Do You See is a long-time favorite of many toddlers and parents. Eric Carle has a unique way with words and pictures, and most of his books are very interactive. Remember, these books don’t tell much of a “story”, but your kiddo gets to learn about colors with this book in a fun way. Laura Numeroff added this charming title (which you can find here) to the shelves more than 20 years ago, and it remains a staple of story time. If You Give A Mouse A Cookie follows a sequence of cause and effect. The mouse wants a glass of milk, and subsequently wants to clean his milk mustache in the mirror. That makes him want a trim, the trim inspires him to sweep the floors, and so on. This was the first in a line of “If You Give” books. Other favorites are If You Give A Dog a Doughnut and If You Give a Cat A Cupcake. The Very Hungry Caterpillar (here on Amazon) is a classic children’s book by Eric Carle. His art is unique and the format of the book keeps a child in thrall. This story follows a hungry caterpillar from egg to cocoon as he endeavors to fill himself full of all the food he can find. The pages of this book are punched through and show the caterpillar as he worms from page to page. This gives the story a tactile element that will keep your child connected to the pages, even if they aren’t old enough for the story. I have included a lot from Eric Carle on this list, but From Head to Toe (right here!) is another really good one. In this book, your toddler can interact with the book by imitating different zoo animal motions, which can help solidify their understanding of the names of different body parts. Although it’s seriously lacking in the riveting story department, it’s a lot of fun to read and usually ends in a lot of giggling in my house. Polar Bear Polar Bear What Do You Hear is the last Eric Carle book in my list of best books for three year olds. Originally, I tried to decide between this Eric Carle book and the one listed above, but I couldn’t. Again, not much of a story. It’s more about the neat art and interaction your toddler gets to have with the book. Although your three year old is not capable of understanding the complex underworkings of “love”, there are some touching books that will be meaningful to you and enjoyable for them. I think we picked up Guess How Much I Love You by Sam McBratney at a local old bookstore in my city. This book follows a father hare and his child as they gently compete in the forest over the degree to which their love for each other extends. This book is my husband’s absolute favorite. The cadence of the words and the beautiful art lend him an actor’s touch as he performs the voices of child and father. The book revolves around a father and child and focuses on outward expressions of love, making it a vital addition to any progressive family’s collection. Love You Forever (found here) will always hold a special place in my heart – as my mother read it to me growing up. This book is about a mother going through the trials of bringing home her newborn all the way through adulthood. It showcases the neverending love a mother has for her child. Growing up, I found some parts of it a little odd – but now it almost makes me a little emotional when I read it. Despite The Giving Tree (see here) being one of my favorite books, I almost didn’t include it on this on my list because I feel that the story is a little hard for a three year old to grasp. To my surprise, my three year old actually asked to read this book last night. Although she didn’t totally get it, it seems like she is beginning to understand it. If you haven’t read this book, I highly recommend picking it up. It makes me cry almost every time I read it, and it’s one they will deeply appreciate later on. This incredibly simple tale by Leo Lionni can be read a hundred times without losing its charm. A Color Of His Own is a quick and easy read about a chameleon who becomes distressed that he has no color of his own. After a long winter, he finds another chameleon and learns that he can share his differences with another of his kind. This book was such a regular that my husband had it memorized. The simple flow and easy to remember sequence allowed him to recount it from memory on a night when we were staying away from home and had not brought a book to pacify our unquiet toddler. Are You My Mother is another classic that belongs on every bookshelf. This story follows a lost baby bird who is looking for his mother. He asks everything he encounters if THEY are his mother. Don’t worry – eventually he finds her. My daughter’s first “fear” actually came from this book. At one point, the scared baby bird calls a tractor a “snort”. My daughter decided she was also scared of the scary snort. We read this one again and again – so it’s definitley one of the best books for three year olds. For children too young to understand the stories, or for when you only have a minute to spare for a story, simple books can be a huge boon. If you’ve spent any time in this arena, however, you know how inane and disjointed the simplest of children’s books can be. Trust me, you’re going to want books you don’t mind reading. Again. And again. How To Catch a Star is a book by Oliver Jeffers. If you’ve seen any of his other books, you know he has a unique way of giving us a story. This book follows the story of a little boy who wants desperately to catch a star. He does some interesting things to try and catch one, but ends up failing with most of his ideas. Overall the graphics and story line are good – it’s a solid pick for your three year old. I know that a book about a girl who wouldn’t brush her hair (found here!) sounds rather strange. Well, it is. This story follows a girl that has a mouse who lives in her hair. The mice really enjoy being with her, but they do not want her to wash her hair, as they are scared of the water. She ends up becoming kind of stinky and ratty (no pun intended), and she has to decide what to do. Overall, it’s an interesting story and my three year old is fascinated by it. The Napping House is one that my mother picked up for my kiddo last year – but she didn’t really seem to enjoy it until this year. This book has a lot of nice rhythm throughout, as you see the grandma, grandchild, cat, dog, and other animals piling up to take a nap. Something happens that scares them all awake. The ending of this book is PERFECT and something your toddler will love. Emotional regulation books for three year olds are my favorite kind. My three year old has been struggling with toddler tantrums, so teaching her how to handle her emotions has been paramount to her (our!) sanity. The Grumpy Monkey is one of my three year old’s favorite stories. It’s easily understandable and is right on point regarding teaching your toddler about emotions. A monkey named Jim is grumpy. All of his friends tell him that it’s a beautiful day and that he shouldn’t be grumpy, so he tries to pretend he’s happy. The end message is that it’s okay for us to feel our feelings, even though sometimes we are grumpy. This is definitely one you should pick up, as it’s one of the best books for three year old’s available. The first time we read Train Your Angry Dragon, my daughter was a little scared of the dragon. I don’t blame her – the dragon in this story throws a dragon “tantrum” over EVERYTHING. The boy has to course correct his dragon’s behavior throughout the pages, thus teaching your little human dragon to manage their emotions appropriately. A great book for three year olds if I do say so myself. We picked up The Color Monster on a random day at our local Barnes and Noble a year ago, and it’s one we still enjoy reading. This pop-up (yep, it’s a pop-up!) associates colors with emotions. The “monster” has his feelings all jumbled up, and the narrator helps him sort them out again. This book for three year olds is great for naming emotions and colors. Not to mention, we LOVE bright pop-up books. The book The Way I Feel is a simple little book that teaches your toddler about emotions. It’s a book from the early 2000’s that exhibits the truth that feelings are not good or bad – they just are. Having the ability to NAME emotions gives your child much more power over them – so consider teaching them about emotions through a book! There are a couple of different considerations I made regarding the best books for three year olds. When I was writing this list of the best books for three year olds, I literally based most of the reviews on books that we own. We have bookcases stuffed with children’s books because I purchase almost every book that looks like it may offer something good for my kids. My mother is a kindergarten teacher. Before she taught kindergarten, she spent fifteen years as a preschool teacher for three year olds. She has a lot of personal experience with three year olds, and an extensive background in education. 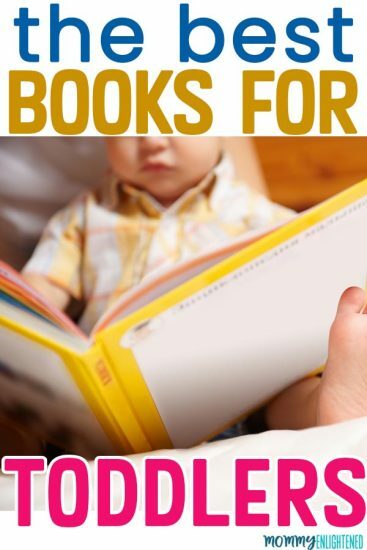 She helped me compile a list of books that will be the most beneficial for your child. At this age we want to instill a love of reading, and keeping it educational will add a lot more value to reading with your child. If I wanted to choose books strictly based off of what would entertain my toddler – this list would be MUCH bigger. Instead I chose books that I could stand (even enjoy) to read again. And again. And again. Regardless of if you prefer to get your books from the library, digitally, or as a good old-fashioned book doesn’t matter. What matters is that you help instill a love of reading in your kiddo. I promise you – it’ll be a fight when they are older, but it isn’t now. Reading allows for some special bonding time for the two of you, and they will learn stuff on the way. I would love to hear from you, so feel free to leave a comment below! What was your favorite book on this list? Do you have a favorite book for three year olds that I missed?